Nutritious You recently opened its doors on the southern end of Siesta Key to offer nutrient-dense snacks and takeout items for local residents and tourists. Nutritious You is proud to offer clean food made from certified organic ingredients. Just a few of the unique and hand-made offerings include: fresh juices, raw/vegan crackers, coffee/tea, raw/vegan deli and take out items, books, essential oils, and other educational materials. Nutritious You food is 100% vegan, gluten free, preservative free, and raw (uncooked). 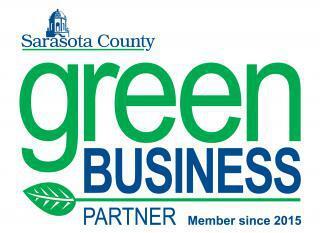 As a green business partner, Nutritious You is going the extra step to have a positive impact in our community. All packaging used at the shop is compostable or made from recycled content. This includes cups, lids, food containers, bags, silverware and even small food sample spoons. Owner Marina says that it may be more expensive, but it is important part of their business philosophy. Nutritious You has an “Eco-You” program that gives a discount for bring own tumblers and containers. Other measures include: recycling of scrap metals, an electronic newsletter eliminating unnecessary mailers and green cleaning via the elimination of abrasive chemicals. Prior to opening, the Siesta Key location received a complete remodel. A new energy efficient air conditioning system was installed along with a new hot water heater. The lighting was updated to more efficient T-8 ballasts and fixtures. For food preparation, a dehydration closet was specially designed with a fan to remove excess heat and reduce energy costs. The location practices turning off lights in unoccupied rooms and the temperature setting is turned up at night to conserve energy. While the location does not used a great deal of water, an efficient water filter system was installed for healthier cooking and cleaning.